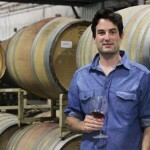 Chanin Wines » ‘Santa Barbara Independent’ gives Gavin high praise! ‘Santa Barbara Independent’ gives Gavin high praise! Thanks Matt Kettmann for the awesome profile on Chanin Wine Co. in the SANTA BARBARA INDEPENDENT, “Gavin Chanin, Wine-World Wonder Boy.” Perhaps new business cards need to be made? 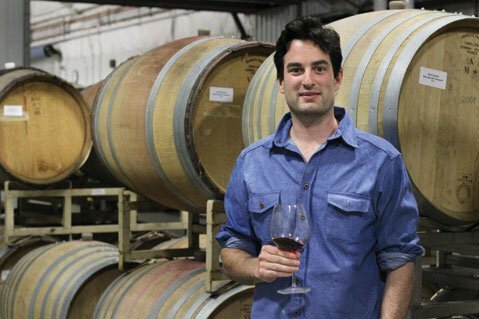 Gavin Chanin makes noteworthy wines his own way. You’d be hard-pressed to find a vintner as simultaneously young and experienced as Gavin Chanin, the 27-year-old wonder boy of the California wine world who’s been working with Santa Barbara County grapes since he graduated high school 10 years ago. With 13 harvests under Chanin’s belt — his first eight for Au Bon Climat and Qupé wineries in the Santa Maria Valley, with extras coming from New Zealand and South Africa, not to mention visits to Burgundy and Italy — his baby face belies an industry-leading wisdom that employs high-acidity, low-alcohol wines to better show off the nuances of specific and often historic vineyards like Sanford & Benedict in the Sta. Rita Hills and Bien Nacido in the Santa Maria Valley.